Another N Gauge Building Takes Shape! 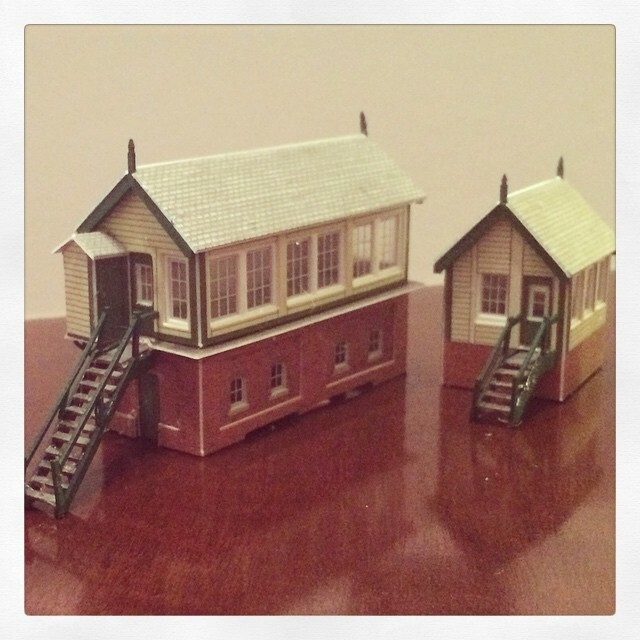 This weekend saw me complete another of the Metcalfe Models Card Kits for my N Gauge Model Railway Project. 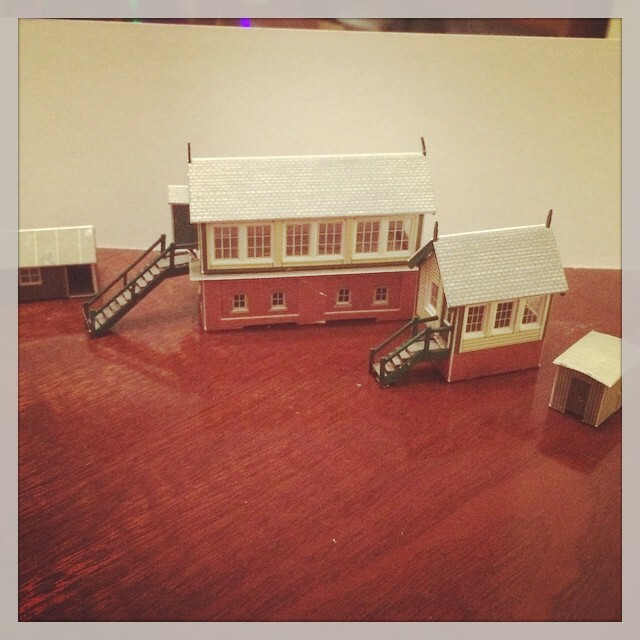 The kit that I completed this time was PN109 -‘Railway Station Buildings’, I must say the kit was superb and really like the little touches, such as the coping stones for the roof and adding the matchsticks to the barge boards to give the building so depth. As you can see from the images above and below I do have a small amount of excess Uhu Glue that needs removing but overall the model was very easy to put together and looks fantastic. The structure of the buildings once built is very good with plenty of strength and even though the waiting shelf is a very small building it really does look great! 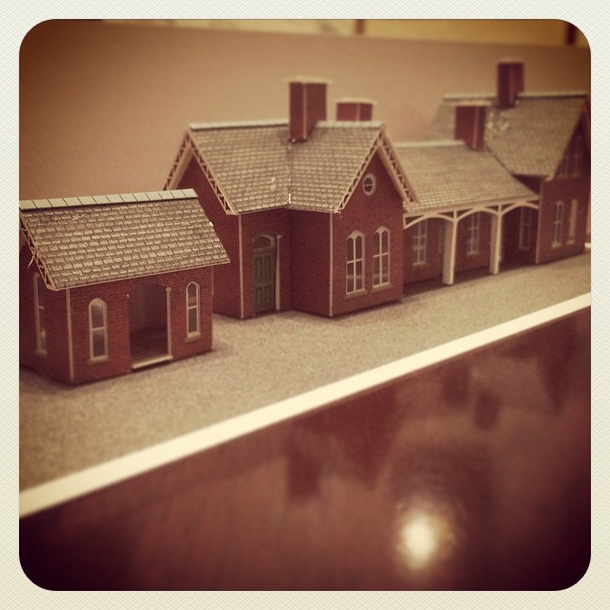 I look forward to putting both building in place on my layout, once I have a baseboard that is! It All Began With A Street! So following my last blog looking at my ambition for an N Gauge model railway, I actually found myself some spare time and started the project that weekend. As I mentioned, I have now decided on my track plan and amongst all of the model stuff that I have collected so far I have a couple of Metcalfe cardboard model kits. 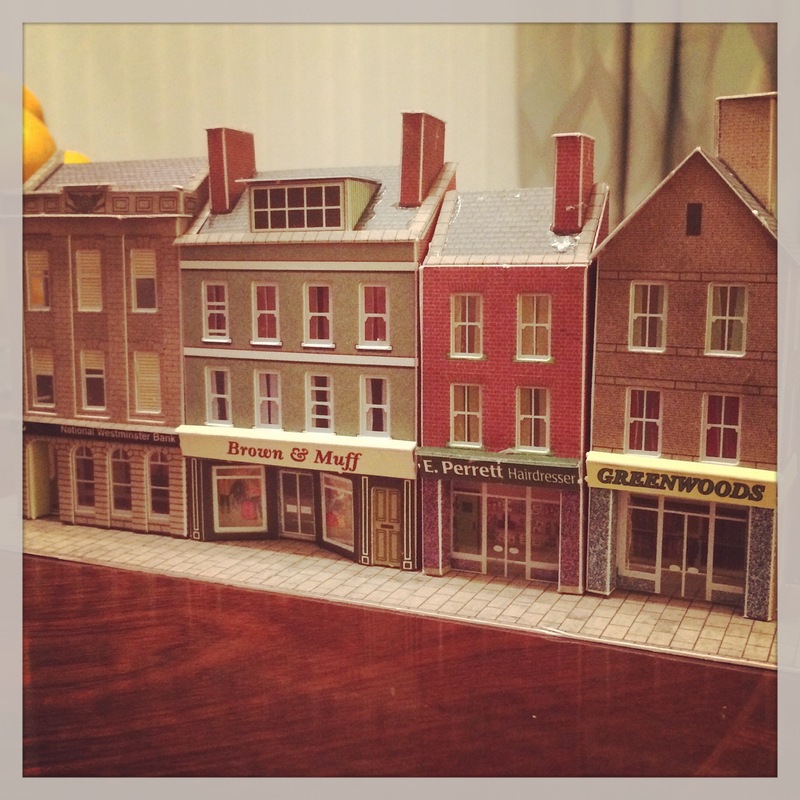 Over the weekend and a couple of nights this week I have taken my time and actually built my first kit, a low relief section of houses and shops. I have to say I’m very happy and proud of how they have turned out. The instructions with the kits are very good and as long as you take your time and do it all at your own pace I’m sure anyone can do them. I still have a couple of little tidy up jobs to do on the models but I’m sure I’ll get it all done at some stage. Having now completed my first kit, I am now keen to move onto my next one as I start to build up some of the town scene ideas that I have floating round in my head. I’m sure you’ll agree that the kits themselves look fantastic once they are complete!